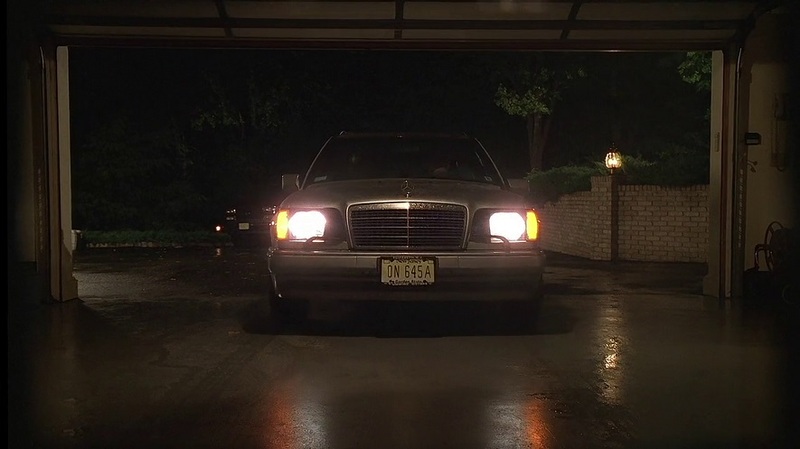 IMCDb.org: 1994 Mercedes-Benz E 320 [S124] in "The Sopranos, 1999-2007"
This car belonged to Carmela Soprano (Edie Falco), and was used in episodes 1.2 "46 Long" and 1.6 "Pax Soprana". It was replaced by a newer E-Class estate. I have no idea how old this car is. I believe after a certain point that the W124 series started using the "E" as a prefix eg. E280, which is how Mercedes models have been designated in the 10 years. How many different versions of the W124 Estate (or S124) are there. In the wikipedia W124 page they only listed the 300TE, was this the only version of the estate? In the U.S. this car (the 124 series) had the classic grille from 1986-1993, In 1994 it had the new grille, so the car with the new grille was made from 1994-1995, and you could only buy the wagon as the E320 trim. Basicly this is an E320 wagon either year 1994 or 1995 nothing more nothing less. One of the greatest cars ever built IMO.